Five years ago, when Tim Fletcher’s friend invited him to run a 5k, he realized his best excuse not to was a coffee and movie date on his couch. Realizing this was not a good excuse, he laced up his shoes and went out. Now, this October, Fletcher will run his seventh marathon. Upon completing his first half, Fletcher entered the lottery for the 2017 Bank of America Chicago Marathon, to which he was accepted for. Since that, he’s run two to three marathons each year. 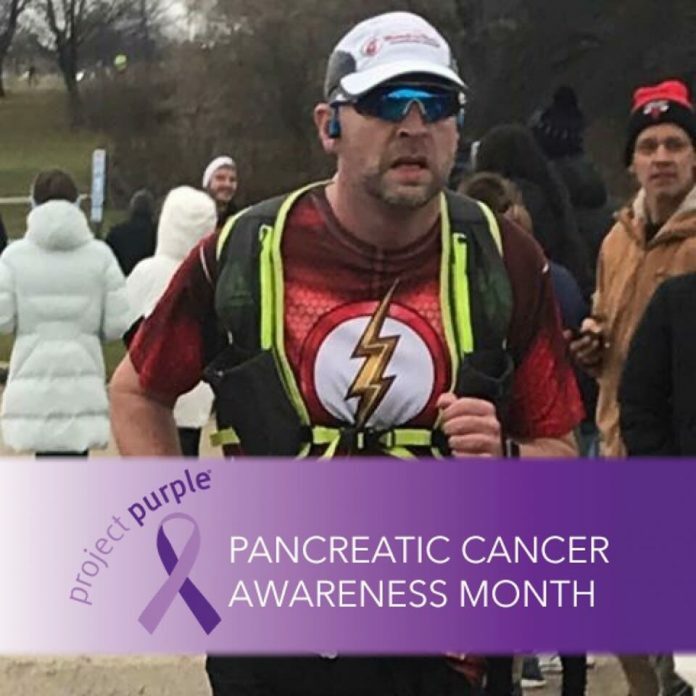 However, running marathons is more than just a personal accomplishment to Fletcher; he is a member of Project Purple Charity which specializes in pancreatic cancer awareness and research. Fletcher’s goals for the 2019 Chicago Marathon are to beat 4:25 – his current personal best is 4:46:15. He pictures himself making the last turn of the course, and seeing the finish line and clock with plenty of time to reach his target. He also has a long-term goal too: to be a Boston Qualifier in the next five years. To accomplish this, he sets goals for each marathon to advance to the next age group’s qualifying time with each race. 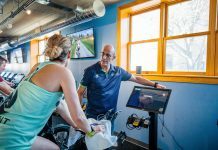 The first time he was able to do that was the 2018 Chicagoland Spring Marathon when he beat 4:55:00 for the first time. Future goals are 4:40, then 4:25 and so on until he can beat 3:25(BQ). “What I enjoy most about running is knowing that I have come from being the guy that was picked last in gym class to running full marathons, and now am looking to qualify for Boston,” he reflects. While he has a great support system tracking him in his journey, he knows his mom is his number one fan, and continues to run for her.